Our brochure contains information about the full Intergenerational Trauma event.. NB this file is large and may take time to download. An optional conference lunch (2 course buffet) can be booked for £15 per meal. There are numerous cafes and restaurants nearby. 5 bursaries are being offered to people on low incomes engaged in voluntary work in projects specifically focused on intergenerational trauma in regions of conflict. To request an application form please email info@confer.uk.com. 6 Hours per day. Certificates of attendance are provided. A 50% refund will be given if you cancel in writing before 10 August 2009. After then, regrettably, no refunds can be given in any circumstances. If you find you cannot attend you may pass on your ticket to another person if you give us 24 notice of their name. A place at the whole conference cannot be shared. You agree to pay the organisational rate if your place is being funded for you by an organisation. Confer reserves the right to alter the programme if a speaker cancels. How can we intervene psychotherapeutically and socially to break the cycles of parent-to-child trauma and maximise healing for the future? This interdisciplinary conference of psychotherapists, psychologists and anthropologists, is a gathering of experts in this field. Together we will consider the healing of the intergenerationally traumatised individual, and the intergenerationally traumatised community. 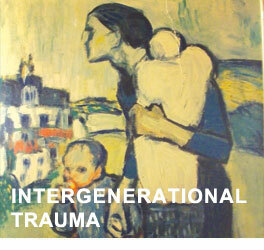 What are the mechanisms of transmission of traumatic affect from one generation to the next? What psychotherapeutic processes make resolution of those events a possibility? How do we work with traumas that are shared inside ruptured communities? How can we intervene psychotherapeutically and socially to break the cycles of the past in traumatised families and maximise healing for the future? What concepts are most useful in understanding and transforming the interplay between individual psychological processes and macro-political events?